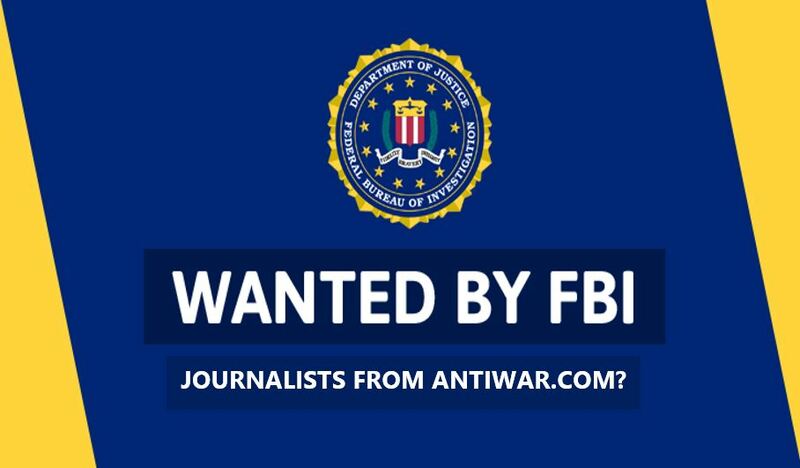 Journalists from Anti War Eric Garris and Dennis Raimondo sued the FBI in 2013, after they realized that their work was being monitored by government agents. According to a report from Courthouse News Service, the two journalists are set to be paid $299,000 from the FBI pocketbook to settle legal fees. In other words, the FBI thought that these two humble journalists could be fighting against the U.S. Constitution as part of an international espionage scandal. Thanks to the help from Julia Mass, an attorney from the American Civil Liberties Union (ACLU) branch based in northern California, these two journalists received legal help. When the journalists realised that they were being monitored by government agents, they quickly jumped to their online platform to try and get this information out in the open. Sadly for them, this caused some of their heavy donors to stop donating, in fear that they would also become monitored by the FBI. The two said that they lost $75,000 a year since 2011 as a result. In essence then, FBI monitoring effectively caused the two journalists and their online platform to fall back into a financial crisis. When income starts coming in, it can be devastating to watch it immediately disappear. Recently, something similar happened to We Are Change when YouTube and affiliates pulled monetization from several We Are Change video reports and made the WAC YouTube channel restricted. After filing an FOIA request to the FBI, the Anti War reporters were refused access to the files which discussed them and their media outlet. As a result, a lawsuit emerged which would last several years before the two reporters were able to see a legal remedy. Now, the FBI has agreed to provide all of the records they have on Antiwar, as described in the two stipulations filed in the San Francisco federal court, These stipulations are both available online, one available here, and the other here. Attorney Julia Mass says that “we certainly expect it was everything they had… [but] because that information is in the hands of the FBI, we can never know for certain” when describing whether or not they received all of the FBI files on the two reporters. The two reporters are now pending two other claims against the FBI in court after dropping their FOIA claims. One claim they are still seeking the remedy for is the alleged inaccurate records on Eric Garris. According to a separate report from Courthouse News, Garris was marked by an FBI file as being a potential cyber terrorist, threatening to hack the FBI website. Garris had reportedly contacted the FBI for help regarding an email he received that was a threat to hack Antiwar.com. The FBI tried to correct this error in 2014 by creating a corrective action file. Legal consultants for the Anti War reporter have argued that the inaccurate file should be expunged or altered to make it no question that the reporter never threatened the FBI. Anti War is perpetually posted here on We Are Change, and any in the field of independent journalism should see this news as one that rings the bells of liberty and privacy.